Twenty-five years after the emergence of powerful molecular recognition elements known as aptamers, these synthetic receptors are finding applications in therapeutics, imaging, diagnostics and biosensors. Comparisons have been drawn between aptamers and antibodies since their earliest days. 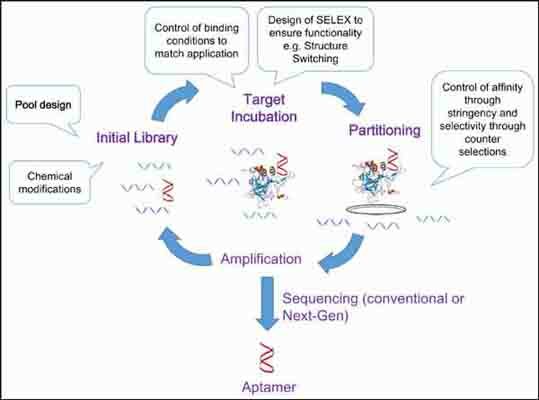 This review will highlight how some of the most promising and successful aptamer-based applications have exploited the advantages aptamers have over their antibody counterparts and will point to future applications of this enabling technology. Antibodies, Aptamers, Biosensors, Imaging, SELEX, Therapeutics. Department of Chemistry, Faculty of Science, Carleton University, 1125 Colonel By Drive, Ottawa, Canada.